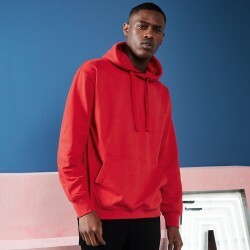 The ultimate hoodie from the definitive hoodie brand. 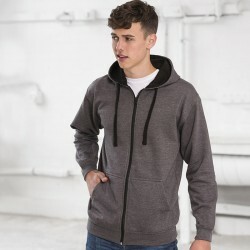 The AWDis College hoodie has become a bestseller with thanks to its classic fit, super soft inner and reliable durability. 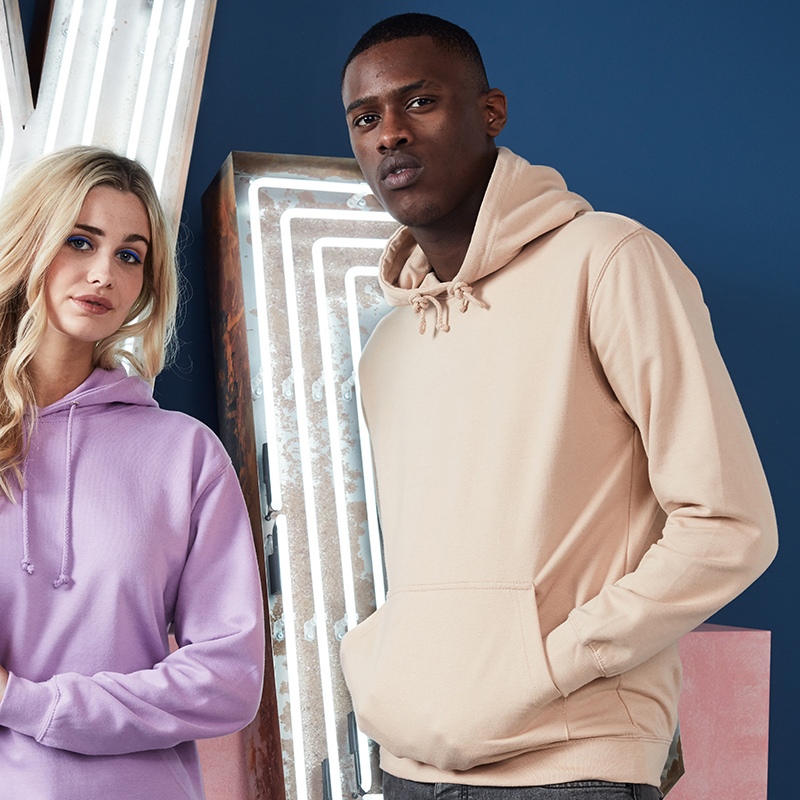 Available in 65 awesome colours and a size range from XS - 5XL, you're bound to find the perfect style and fit to add your own personalised print to! 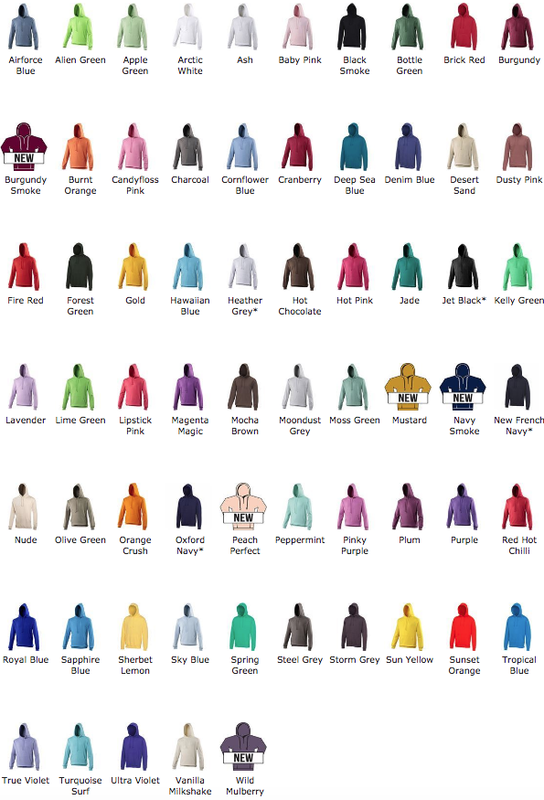 Use our online designer to create your perfect personalised hoodie. 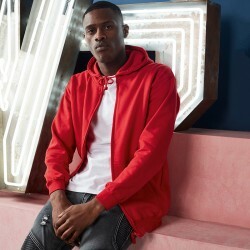 The stylish AWDis varsity hoodie features contrast full front zip and hood lining and is made in a c..
Hidden opening for earphone cord feedCovered main zip with self fabricDouble fabric hoodFabric:80% C.. 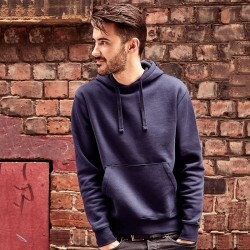 Contemporary hooded sweatshirtFlat chunky drawcordDouble layer hoodFabric:80% Combed ringspun cotton.. 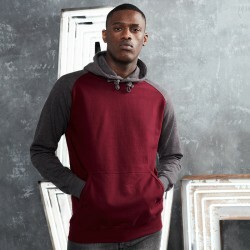 Double fabric hood with contrast inner and contrast flat lace drawcord.Front kangaroo pouch pocket w.. 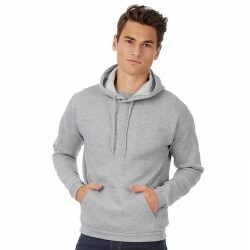 Enhance your casual wear wardrobe with this versatile raglan sleeved hooded sweatshirt which feature..
A retro and stylish crew neckline featuring raglan contrast sleeves with a modern fit, pair this wit.. 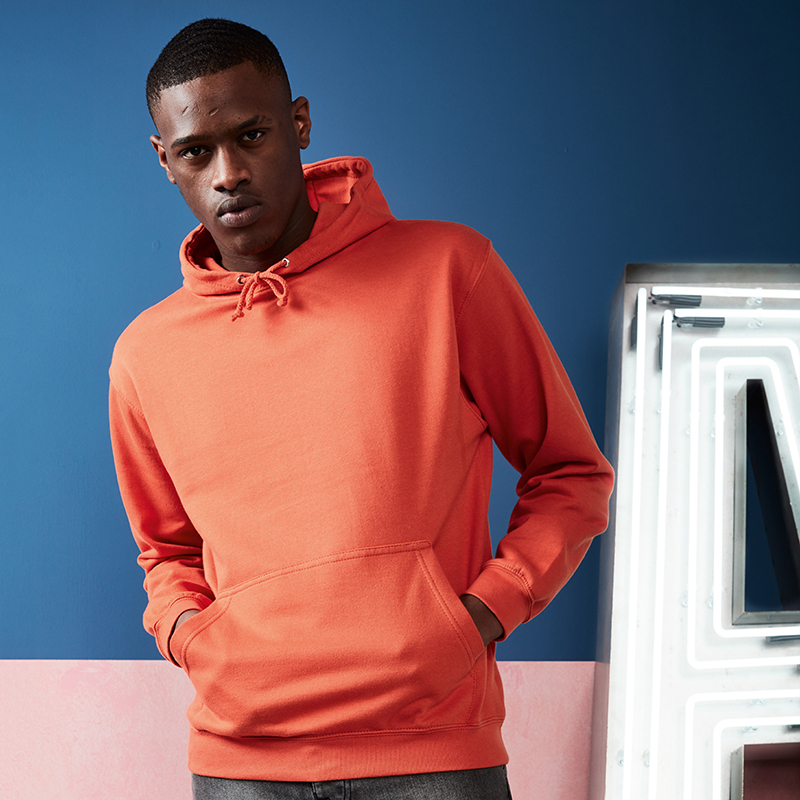 The Lusaka hoodie combines classic hoody styling with a modern and sustainable twist. 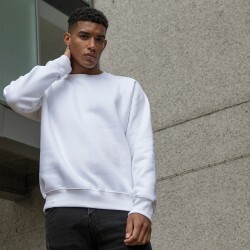 An environment..
A super soft wardrobe staple, designed with a modern and stylish fit.The AWDis Triblend T is the ult..
Girlie fitKangaroo pouch pocketHidden earphone cord feedRibbed cuff and hemFabric:80% Ringspun cotto.. The classic hoodie, available in eye-catching colours.The AWDis Electric Hoodie is designed to stand.. 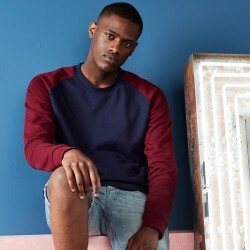 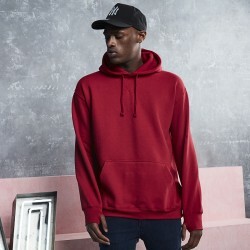 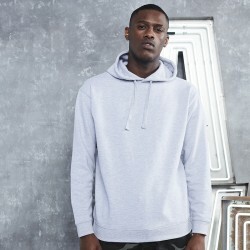 The industry's favourite sweatshirt gets a knockout update.The AWDis Graduate Sweatshirt is everythi..